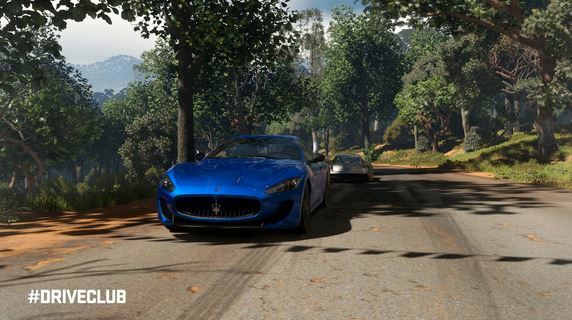 Driveclub game director Paul Rustchynsky tells VG247’s Dave Cook all about the PS4 racer’s delay, and how developer Evolution Studios has used that extra time to make it bigger and better than before. 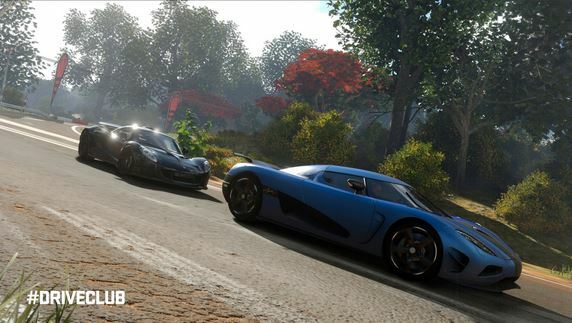 At long last, Driveclub got dated yesterday, along with a new trailer. It’s out October 7 in the States, October 8 across Europe and finally, in the UK from October 11. By then it will have been delayed for almost a year. I was curious to know how this time has been used and why Driveclub went from promising PS4 launch title to radio-silenced project, so I spoke with Evolution Studios game director Paul Rustchynsky to find out more about what happened. “In terms of what we’ve been doing in the past six to nine months is we’ve been focusing primarily on our dynamic menu, which is our social hub for the game,” he tells me over the phone. “It’s a way that allows you to connect seamlessly and slickly to other players, so it’s about forming clubs with no barriers, it’s about being able to send challenges and let them go viral, it’s about being able to connect to other players – whether it’s on PlayStation 4 or on your iOS or Android app. He added that the delay was actioned because Evolution Studios felt that it hadn’t done its initial promise of a fully connected, socially-integrated racer justice, so a decision was made to delay the project to make these social tools an integral part of the game. It’s not just about sending messages or race invites either, he says, as players will be able to form clubs, forge club v club rivalries, and create custom challenges that might even go viral among the community itself. 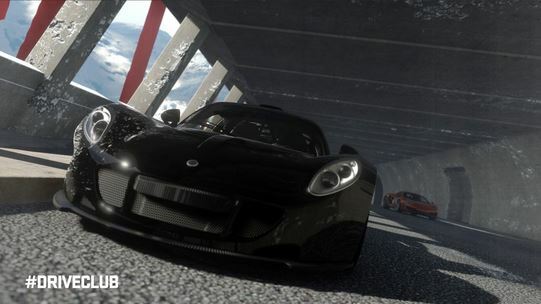 The extra time hasn’t just been used to improve Driveclub’s social aspects either, as Evolution staff in other areas have applied themselves to the racer’s visuals, gameplay and sound components. “They’ve relished the opportunity to polish other areas,” Rustchynsky goes on, “whether that means the cars; we’ve been able to add more cars and add more detail to them. We’ve talked about the level of detail that we’ve gone to, I mean it’s obsessive. “We re-created the screws, and all these little embellishments on all the various cars, and we wanted to make sure it really felt like this is a real thing you’re sat in. With the worlds we wanted to make sure we had the biggest and best vistas, the richest and densest environments, so it’s about adding more content and making it feel like a truly next-generation experience in terms of the visuals. Good intentions are hard to deny or shrug off, but it seems that all high-profile delays go hand-in-hand with visions of disaster. The same flood of anger and scepticism following Sony’s delay found its way to Ubisoft’s Watch Dogs, a game which – as far as we’ve seen – really has benefited from months of extra development. I ask Rustchynsky if he feels the Driveclub delay has dented the brand at all. Rustchynsky himself only stepped into the game director role in February of this year. I ask if he felt daunted coming into it so late in the day, and if there was ever any pressure to keep the Driveclub ship on course. “It wasn’t really about keeping the ship on course as you put it,” he countered. “It was more about maintaining the vision. At Evolution we’ve had this idea in mind now for many a year, and it’s something that we’ve been very clear on at all time. True to his word, Rustchynsky confirms that all of Driveclub’s core values have remain constant, and that also extends to the planned free-to-play edition, available to all PlayStation Plus subscribers. It’s still happening, and will come with the same features as the core Blu-Ray release, except for less cars and tracks. “That’s still the same as it ever was,” he explains. “We always wanted to create a PlayStation Plus edition to allow players who aren’t necessarily into racing games to try out the experience and also add the numbers to our social network, because a social network isn’t a network unless you’ve got tens maybe hundreds of thousands of people playing. “We wanted to make sure we could have a vast number of people playing the game on day one, to allow people to create connections between one another, form clubs, send challenges and so on. The PlayStation Plus edition is still the same. It’s a relief, especially for those looking to acquire a PS4 towards the end of the year. It means new customers will have a free title – albeit a smaller one – to enjoy with their new machine, along with Sony’s growing slate of free-to-play titles on PSN. It’s a smart play from Evolution, certainly. 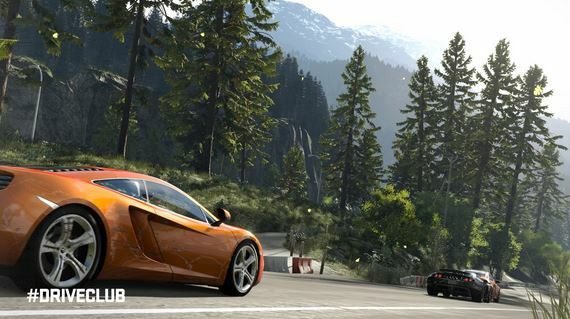 The exact volume of free content is still being discussed at the studio as you read this, but I’m told there will be plans for free and paid DLC after Driveclub drops in October. One stance that has changed is the game’s display, which now sits in 1080p at 30 frames-per-second. It’s likely a non-issue for some, given the lavish presentation of the game’s screens and videos so far, but even Rustchynsky explains that the dip in frames allows the team to render such high-quality car models, track environments and sky boxes in motion. He then suggests that people look to fellow 30FPS title inFamous: Second Son as an example of what can be achieved visually. In closing, I ask him to set out a new stall for those still concerned about the Driveclub delay. “It’s the Driveclub experience I think everyone wants to play,” he concludes. “I think that’s the message from me. “It’s the driving experience for all – it’s not a simulation, it’s not arcade – it’s something that sits perfectly in the middle with these unique social elements, and I think that everyone who was excited for Driveclub, should still be excited about Driveclub now. When they see it, I think it’s going to blow them away in terms of visuals, and when they play it, I think the handling – again – is going to blow them away.